The City of Los Angeles has given the green light to an epic project, hoping to recreate itself with the help of a timeless star who has been in a state of semi-retirement, neglect and outright abuse for decades. That star is the Los Angeles River. Los Angeles Mayor Antonio Villaraigosa will pay tribute to the Los Angeles River on April 30th with festivities designed to highlight her importance in both the history and the future of our city. The Return of the L.A. River will be directed by The Los Angeles River Master Plan, a 2007 document that redefines our relationship with an underutilized natural beauty who has been forced to appear in the demeaning role of "our city's largest storm drain" since the Army Corps of Engineers encased her in concrete in the 1930s. She's not the first Hollywood star to regret having too much work done, and city leaders are hopeful that much of the damage can be corrected as she resumes an active role in the ecology and recreational opportunities of the city. Los Angeles, the second largest city in America, was born on the banks of a river that had sustained life for the Native Americans there for thousands of years. When the Spanish arrived they found a lush green valley fed by the wide river and decided to make a settlement there, El Pueblo de la Reina de Los Angeles (The Village of the Queen of the Angels). In 1850, California became a state and the population boomed with the gold rush. The City of Los Angeles grew rapidly on both banks of the river, now named after the city it created. What followed was an epic battle between the people of the city and the Los Angeles River. While the agrarian Native Americans had lived in harmony with the cycles of the river as it flooded and dried and dwelled away from the flood plains, the city dwellers sought to control the river and build right up to it. Urbanization increased the flooding capacity of the river as green areas that absorb water into the water table disappeared. Several large flood events killed Angelenos and destroyed property. A sophisticated flood control plan that kept further development out of the flood plain and incorporated natural drainage and parks was proposed by Harland Bartholomew, (the father of urban planning), and Frederick Law Olmsted, Jr., (son of the famed landscape architect who designed Central Park, Olmsted Jr. is remembered for his conservation work in national parks including Yosemite). Unfortunately, their vision was never realized due to a confluence of obstacles including regulatory battles between the cities through which the river travels, development pressures, and finally finances for the project during the Great Depression. When the Federal Government took over flood control of the river, its fate was sealed, in concrete. 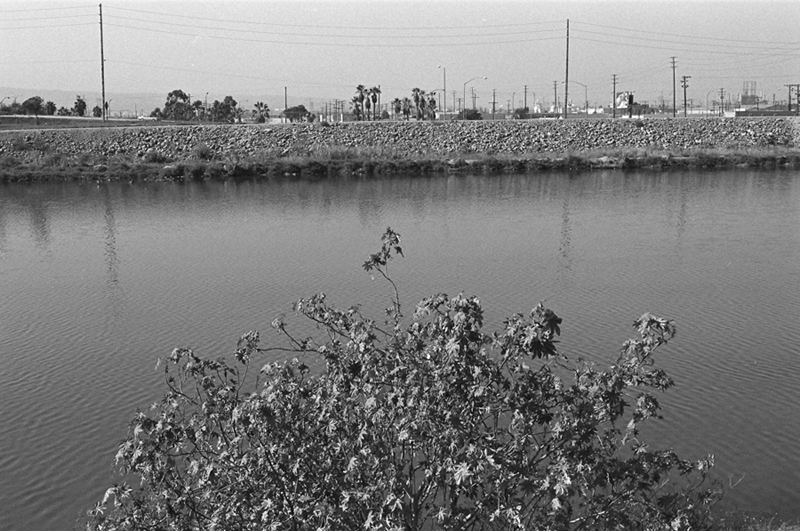 Of the 51 miles of the river, only a small portion in the Sepulveda Basin, Glendale Narrows and Compton Creek were left with the natural river bed because the high water table in these areas prevented concrete encasement. In 2006 the U.S. Supreme Court issued a ruling that cast doubt about the kinds of waters that are protected under the Clean Water Act. That decision concerned Angelenos who worried that that the Los Angeles River and its watershed would lose its environmental protections. Those fears were realized when a decision by the Army Corps of Engineers took away the very identity of the river by declaring all but four miles of it to be "non-navigable." This had serious repercussions for the river, as navigability is a requirement for the protections of the Clean Water Act. Was the river doomed to storm drain status for eternity? Enter the determined supporting cast in this triumphant story of the river's rebirth. A group of fearless river activists, including Heather Wylie of the Army Corps of Engineers who found fault with her agency's determination that only four miles of the river were navigable, devised a plan to kayak all 51 miles of the river, video cameras in hand. Heather was suspended from her job for her efforts, but the activists got the attention of the US EPA and on July 7th, 2010, EPA Administrator Lisa Jackson stood at the Compton Creek portion of the river to announce her ruling that the Los Angeles River, all 51 miles, plus the 834-square-mile urban watershed connected to the river, is protected under the Clean Water Act. The accomplishment of the activists in bringing EPA to protect the Los Angeles River and its watershed are chronicled in a documentary in the making called Rock the Boat. There is renewed optimism for the river with a new agency, The Los Angeles River Revitalization Corporation, working under the guidance of the Master Plan to bring back our river as a vital link through all Los Angeles with complementary businesses, recreation and parks that include natural flood control measures. To learn how you can act in the historic revitalization of our Los Angeles River visit Friends of the Los Angeles River and join in on the Mayor's L.A. River Day of Service on April 30th.